Ruth Benton co-founded New West, a primary care group practice, in 1994. She is the chief business officer responsible to the board of directors. The company has grown to $50 million in revenue, has 80 physicians and mid-level providers and 250 employees at 16 locations in the Denver metro area. For four years prior to starting New West, Ruth was vice president for operations and managed care with Health One, where she managed the contracts for five Individual Practice Associations and four hospitals. In addition, she was a hospital administrator for Swedish Medical Center in charge of the women’s program, surgery services, laboratory services, medical records, admissions, emergency room and risk management. From 1987-90, Ruth served as vice president for administration for Health Care United. She managed the operations of an HMO placed under supervision of the insurance commissioner and stabilized the financial performance and operations and managed the insolvency for the state attorney general’s office. In addition, Ruth was vice president of finance and operations for and one of the founders of Blue Cross Blue Shield’s HMO. She held various management positions in Blue Cross and Blue Shield from 1971-87. Ruth has an MBA from Colorado State University and has received several awards, including Distinguished Alumni and Entrepreneur in Residence from the CSU College of Business, “Most Influential Health Care Leaders in Colorado” from the Denver Business Journal for the last five years, as well as the journal’s Champions in Health Care Award—TOP Health Care Manager in 2008. James Beaudry has over 25 years of experience in health care and health services and policy research as a researcher, administrator, and business leader. He held multiple senior leadership roles in Kaiser Permanente Colorado from 2009-2018. 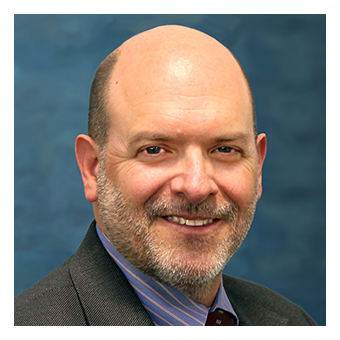 He most recently served as Director of Community Benefit & Relations at Kaiser Permanente Colorado (KPCO) from 2017-2018 where he was responsible for leading community benefit investment, community health equity, and community relations strategies to improve the health of the communities served by KPCO. Prior to taking on this role, he served as Senior Director of Business Operations and Strategy for KPCO Government, External Relations & Research (GERR), where he was responsible for ensuring that the business operations of all GERR departments are conducted in a strategically sound, efficient, compliant, and fiscally responsible manner. He also was Director of Research Administration at KPCO's Institute for Health Research, a multi-disciplinary research department that conducts research that can be translated into clinical practice, health promotion, and policies to influence the health of individuals and populations. Before joining Kaiser Permanente, he held a variety of research, programmatic, and administrative positions at the University of Colorado Denver, Anschutz Medical Campus, over a period of 17 years. His work focused on improving the quality of care provided to individuals in long-term care settings, particularly home health care. He was part of the team responsible for the development and implementation of the Outcome and Assessment Information Set (OASIS), which, since 1999, has been used by the Centers for Medicare & Medicaid Services to monitor and improve the quality of care delivered to home health care patients throughout the United States. During his tenure at UC Denver, James also served as the program manager for the CCTSI Community Engagement core and PACT Council as well as finance administrator for the overall CCTSI program during the startup period of the CCTSI grant. He is now Chair of the PACT Council and is a member of the PACT Executive Committee. In all of these programs and projects, his focus has been on the development of technical and administrative systems to support programmatic objectives and improve the health of individuals and communities. Romana Hasnain-Wynia is the Chief Research Officer at Denver Health, where she oversees research and sponsored programs through the Office of Research and represents research interests as a member of the Executive Leadership Team. Prior to joining Denver Health, she was the director of the Addressing Disparities program at the Patient Centered Outcomes Research Institute, where she provided strategic oversight and leadership related to national funding priorities. She also served as the director of the Center for Health Care Equity and Associate Professor at Northwestern University Feinberg School of Medicine. Her research has focused on developing interventions to improve health care quality for all with a specific emphasis on advancing equity. 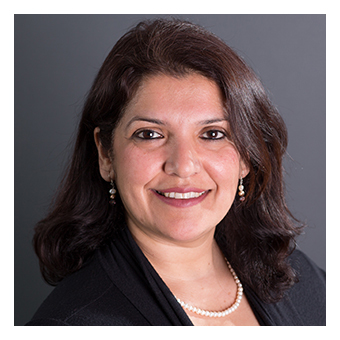 Dr. Hasnain-Wynia uses mixed methods approaches and is a proponent of stakeholder engagement in her research and has expertise in designing pragmatic trials in real world settings. She is an active mentor to junior investigators and finds this to be one of the most gratifying aspects of her work. Dr. Hasnain-Wynia serves as a member of advisory committees for organizations such as the Brookings Institution, National Quality Forum, America’s Essential Hospitals, Agency for Healthcare Research and Quality, and the Institute of Medicine/National Academy of Medicine. She is on the editorial boards of the journals Health Affairs and Health Services Research. Beth Perez graduated from the University of Pennsylvania with a BA in psychology and a minor in English. She spent several years working in marketing roles for HCA Manor Healthcare, a leading provider of skilled nursing and rehabilitative services, before receiving her MBA from the Amos Tuck School at Dartmouth. While at Dartmouth, she was awarded the Charles M. Leibowitz Award for Outstanding Contributions to the Tuck Community. Beth joined the Boston office of the Boston Consulting Group (BCG), where she worked with a variety of domestic and international health care companies. In addition to her management consulting work, she has held various roles in biotechnology and medical devices companies. Beth is a Senior Director in the Hospital Services Group at DaVita, where she is responsible for managing all of DaVita’s national relationships with hospital system partners. Beth joined DaVita as the Senior Director of Strategy and Special Projects for the COO, where she was responsible for overseeing a portfolio of strategic and operational projects that resided within the COO's areas of responsibility. She was actively involved in initiatives in support of DaVita's rapid international growth as well as programs aimed at facilitating the transfer of patients into DaVita clinics from the hospital. 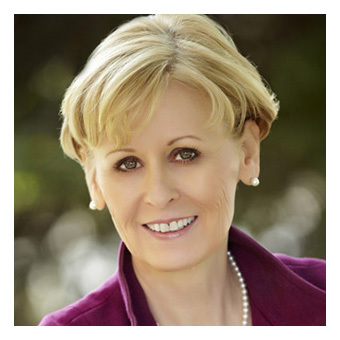 Beth serves as the Chair of the Board of Directors of the Colorado Women’s Chamber of Commerce. She has also served as a member of the Boulder Valley School District Accountability Committee. Kay Ramachandran is Executive Director of the Marillac Clinic in Grand Junction, a position she has held since January 2013. The clinic, established in 1988, provides comprehensive primary care and dental care to low-income and middle-income individuals and families in Mesa County. Kay has a long history in health care and especially working with community clinics. Before coming to Marillac, she was the CEO of Urban Peak in Denver, a nonprofit that provides services to homeless youth. She had previously worked in Canada for a large home health care organization as well as a large for-profit health care company. She also directed the People's Clinic for three years. Kay has lived all over the world. Born in India, she has lived in Hong Kong, Singapore, Canada, Boulder, and Denver. She has a master’s degree in history from the University of Pune. Nathan (Nate) Schacht is a labor and employment lawyer in the Denver office of the national law firm BakerHostetler. Nate concentrates his practice on employment litigation, class and collective action litigation, labor relations, and employment law counseling. 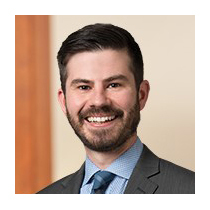 Using his combined experience in private practice and as a prior in-house employment lawyer, Nate brings a business-oriented and creative approach to counseling and litigation in complex labor and employment issues. Among other industries, Nate works regularly with clients in the health care industry concerning labor and employment matters. In addition to BakerHostetler, Nate has served as Senior Corporate Counsel, Labor and Employment, for a Denver-based global technology company and, prior to moving to Colorado, worked as a labor and employment attorney in the New York City office of Paul Hastings, an international law firm. Nate also sits on the board of One Colorado, the state’s leading advocacy organization dedicated to advancing equality for lesbian, gay, bisexual, transgender, and queer (LGBTQ) Coloradans and their families. Nate earned a bachelor’s degree in political science from the University of Portland, and his J.D. from the University of California, Berkeley School of Law. Dr. Wong is a devoted child health advocate. She is a pediatrician, a professor at the University of Colorado School of Medicine and a senior program consultant for the Robert Wood Johnson Foundation. Dr. Wong co-founded CU LEADS - an innovative curricular program designed to promote leadership, education, advocacy, development, and scholarship for medical students. CU LEADS focuses on the social determinants of health and in developing leaders who are empowered to improve the health of communities through service, collaboration, civic engagement and public policy. She served as a health policy advisor to First Lady Michelle Obama for Let’s Move!, the national initiative to prevent childhood obesity. She also assisted in launching Joining Forces to improve the health and wellness of military families. Throughout her clinical practice, Dr. Wong has cared for children from underserved and vulnerable populations in safety net hospitals, community health centers, and academic clinical settings. She has received multiple awards and honors, including the Chancellor’s Diversity Recognition Award for CU LEADS. Dr. Wong received her B.A. in modern dance from the University of California, Los Angeles, her M.D. from the University of Utah School of Medicine, and her M.S.P.H. from the University of Colorado. She was a primary care research fellow and also a RWJF health policy fellow with the Institute of Medicine.